Ironically headed for MLK Blvd. You know what they say about "The bigger the truck, the smaller the d i c k." Guess it's also true, "The bigger the sticker, the smaller the brain." Spelled incorrectly to drive home the point. He has the Obama 2008 support sticker - what happened between 2008 and 2012? 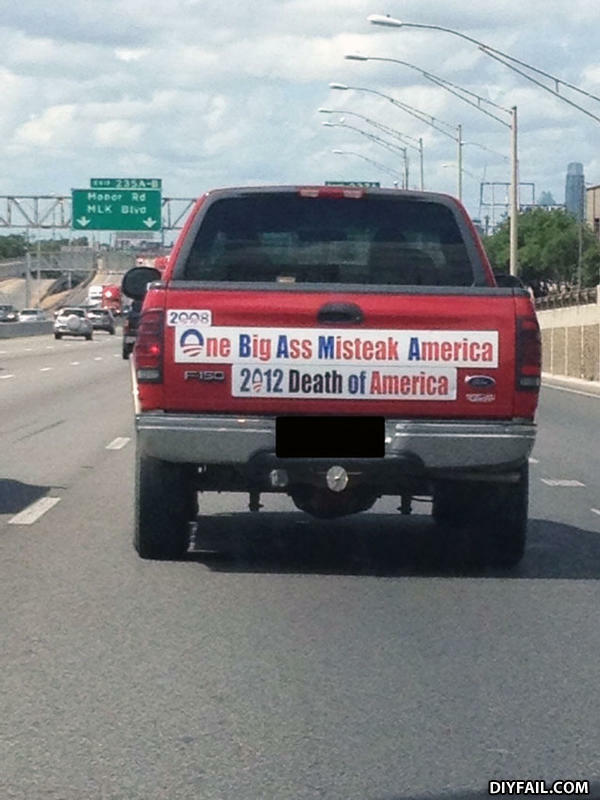 By the way, this was taken in Austin, TX - so consider the source. Big state full of idiots, GOVERNED by an idiot. Yo momma's so old, she lives in a nursing home and is on various medications that she needs to take to stay in optimum health.